In the cold winter weather, it’s easy to spot Addison Zhao. The senior psychology major from Baltic, Conn., sports an earflap hat with moose antlers protruding from each side. “It makes people smile,” Zhao says. Zhao’s outgoing personality and his interest in psychology have made him stand out as a dedicated supplemental instruction leader for psychology professor David Miller’s general psychology course. The supplemental lessons offer an opportunity for students to reinforce the key points from a lecture class in a smaller, informal environment. Zhao has been constructing lesson plans and writing quizzes and practice exams for students since the beginning of the Fall 2012 semester. Zhao says he finds provoking questions and encouraging discussions contribute to meaningful note-taking skills. Miller says Zhao’s lessons have proven successful, because students attending his supplemental lessons are scoring higher than average on exams. 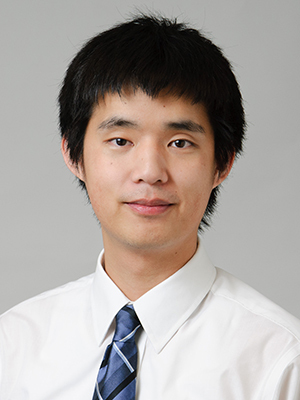 In addition to his work as a supplemental leader, Zhao has been a research assistant since his second semester at UConn. He’s currently collecting data for his own research on what makes online dating profiles attractive, which he will write up for his senior Honors thesis. Although he can’t share his results yet, he is excited to see the results unfold. In his senior year of high school, Zhao thought becoming an engineer would be more practical and fiscally responsible.